Glitch post dissappeared - no longer exists. A glitch deal was posted early hours of the morning with amazon. Anyone know why its gone? Hi @Caroline_1993 the post was removed as the seller is an unsuitable Amazon FBA seller, we have recently made changes regarding this as seen here. i understand that as their business address is china. 2 of my 4 items have been despatched, they are coming from the UK. 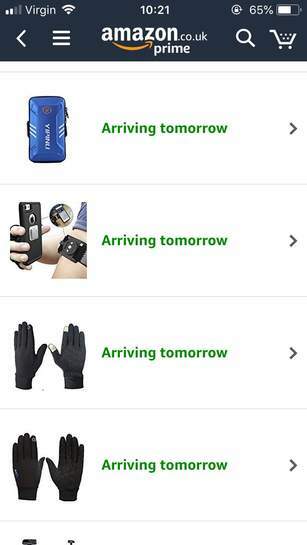 These are mine, all coming next day! That’s not the reason though, have a look at the thread it explains it, it’s not the company location it’s the other things they get up to. Sadly not every Chinese seller is banned, some are even promoted on here, there should be a full ban and avoid all of the hassle. i get minde delivered to local shop literally across road from my house. Usually get delivered there b4 7am. Saves me waiting in all day. So we can't trust Amazon on here any more? That explains why, so glad the glitch was at 2am as mods didn't delete it! i understand that as their business address is china. 2 of my 4 items have …i understand that as their business address is china. 2 of my 4 items have been despatched, they are coming from the UK. Ohh good good i get minde delivered to local shop literally across road from my house. Usually get delivered there b4 7am. Saves me waiting in all day. Attempt at epic drama from simple concept referenced in post 1. 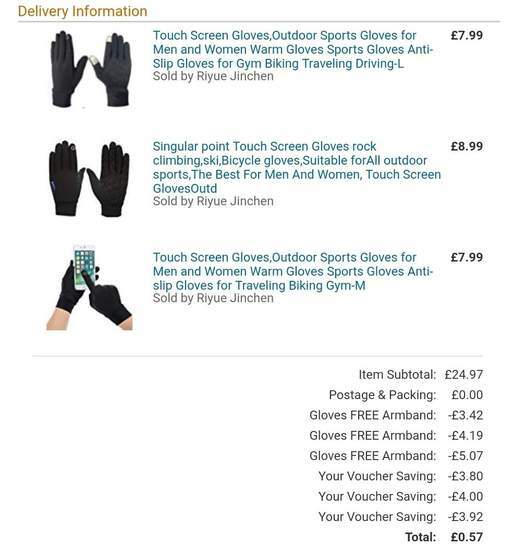 Buying an armband got you free gloves but buying gloves got you a free armband. Buying those 4 items and combining them with the 50% off and 30% off vouchers meant the order went to 16p. The seller messed up their promotions big time! 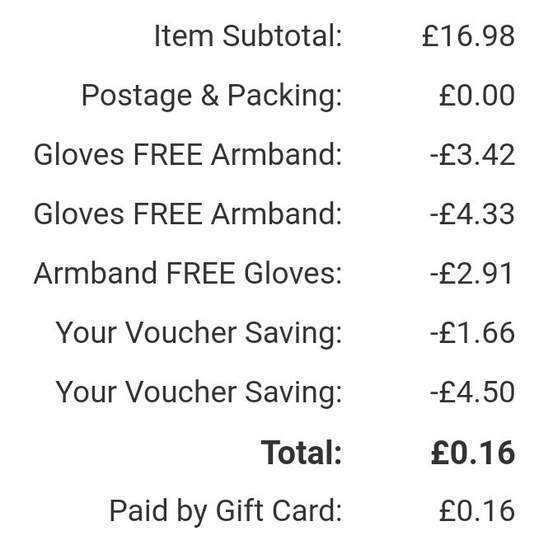 Ordered only 1 armband (dispatched seperately) and the free armband promo came off 3 times, and the voucher discount! 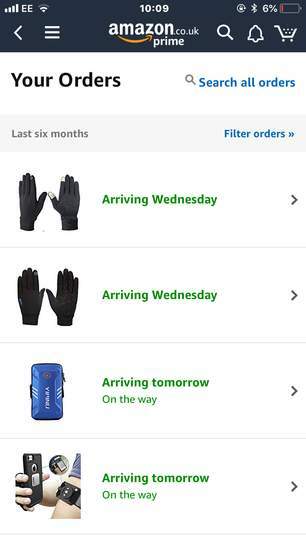 I only needed 1 pair of touchscreen gloves but now I've got 5 and 3 armbands I will never use - but it's only cost me 73p in total so it's worth it! Most items are back in stock now but the free item promotion has been removed from the listings. That’s not the reason though, have a look at the thread it explains it, i …That’s not the reason though, have a look at the thread it explains it, it’s not the company location it’s the other things they get up to. Sadly not every Chinese seller is banned, some are even promoted on here, there should be a full ban and avoid all of the hassle. Yep Gearbest and the other names they use are promoted by the mods and admin, yet have 100's of thousands of bad reviews on Google. The only question is "why ? ", yet they refuse to answer. Yep Gearbest and the other names they use are promoted by the mods and …Yep Gearbest and the other names they use are promoted by the mods and admin, yet have 100's of thousands of bad reviews on Google. The only question is "why ? ", yet they refuse to answer.